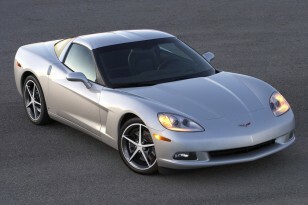 The 2011 Chevrolet Corvette Coupe delivers an impressive 26 mpg on the highway. Everyone and his goldfish knows that you can get good gas mileage by driving a Toyota Prius. 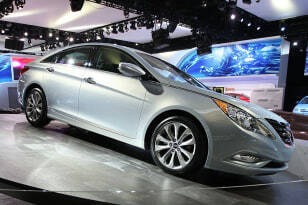 But many of us want to buy cars with features that typical high-mileage economy cars don’t provide. Those requirements don’t have to doom us to terrible fuel economy; we just have to choose our cars more carefully. 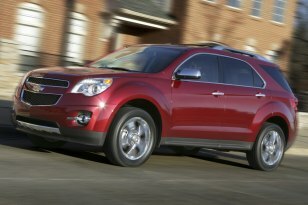 So here’s a list of 10 vehicles with unexpectedly good fuel economy for their size and/or vehicle type. (Note: This is not a list of the 10 vehicles with the best fuel economy; you can find that list on the EPA’s website). Drivetrain: 3.0-l V6 diesel, 8-sp man. With the Q7 you really can average 25 mpg on a long trip in a sure-footed quattro all-wheel-drive, three-row, seven-seat SUV. You do have to fuel it with diesel, which costs a bit more than gasoline, but you will only have to do that every 600-something miles. And you won’t pay any other penalties because the performance and smoothness of the drivetrain are indistinguishable from that of a comparable gas turbo V6. years was “no,” but now that the company’s products have become excellent, if the alternative is some cramped, buzzy econobox, here’s your 37 mpg solution. Because of the compact size of the “eAssist” mild hybrid system, the rear seats fold flat for a pass-through from the trunk — a feature that isn’t available in full hybrid sedans because the space behind the seat is occupied by electric drive electronics. Compact SUVs are the new family cars for many consumers, but even though they aren’t gargantuan ground-pounders, they can still get pretty mediocre fuel economy, especially when equipped with a V6. Chevy has dropped in a brawny-but-smooth four-cylinder that delivers 32 mpg in highway driving, and buyers have been snapping them up as fast as the company can build them. Drivetrain: 6.2-l V8, 6-sp man. No one buys sports cars for their fuel economy, but wouldn’t it be nice if some ludicrously fast 430 hp rocket also delivered 26 mpg on the highway? Well, here it is. 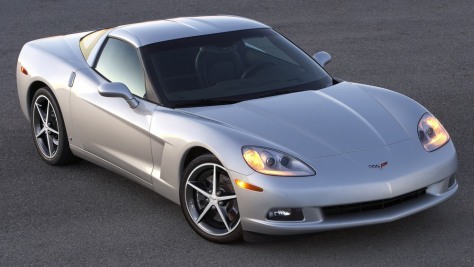 The Corvette will crank out mile after mile of mid-20s mileage while you’re on the highway driving to the best curvy mountain roads or some distant race circuit for a bit of track day fun. Here’s the most efficient vehicle on this list, with 39 mpg in combined driving — the 41 mpg city, 36 mpg highway Ford Fusion Hybrid. It doesn’t carry the humpbacked styling or overt political connotations of a Prius, but it does deliver nearly the same gas mileage in a vehicle with a more comfortable ride and vastly better handling. It takes energy to move a load, and that energy comes from gas. Trucks burn more gas than cars even when they aren’t hauling loads because they are built big and sturdy enough to withstand heavy-duty use. 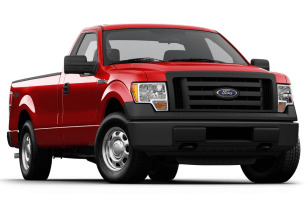 That has typically meant that gas mileage ranged between “dismal” and merely “bad.” But Ford’s new V6-powered F-150 has achieved the widely accepted threshold of “decent” gas mileage — 20 mpg. That’s the truck’s combined EPA rating, and they EPA says it can do even better on the highway at 23 mpg. 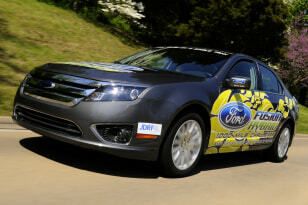 Our testing scored 20 mpg highway too, but other reviewers did better. Regardless, it is a big step forward considering that old trucks wouldn’t go 20 miles on a gallon of gas even if they started driving atop the Continental Divide. 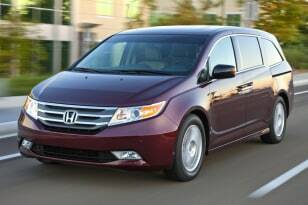 Remind me: Why do we call these things “minivans” again? 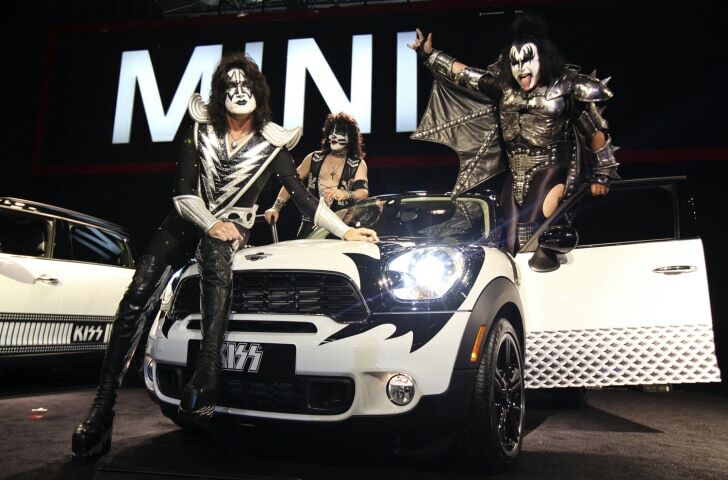 They were pretty small when they started out, but now they are 4,500-pound, eight-passenger behemoths. It would be asking a lot for something this big to get reasonable gas mileage, but the Odyssey delivers, using cylinder deactivation to run on three cylinders when possible, along with a six-speed transmission to get the power to the wheels as efficiently as possible. 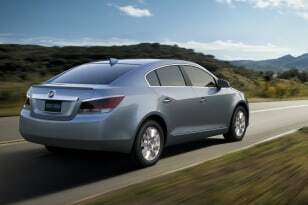 The Hyundai Sonata has a smidge more interior space than the Fusion or LaCrosse and rates 35 mpg highway with its base engine and transmission. Hyundai also offers a hybrid version, but the everyday model provides 35 mpg on the window sticker, and anecdotal evidence says it will even get 40 mpg on the highway. Forty mpg might be a stretch for the Sonata, but the compact Elantra should do that without breaking a sweat, according to the EPA’s 40 mpg highway rating. 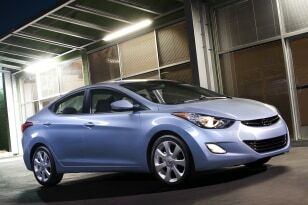 As with the bigger Hyundai, the Elantra achieves its segment-benchmark fuel economy rating with its base drivetrain, so the hundreds of thousands of Elantras the company sells will all contribute to the fleet of 40 mpg cars on the road. This is in contrast to the special, high-efficiency models from competitors, which cost more and will account for a paltry few percent of sales. 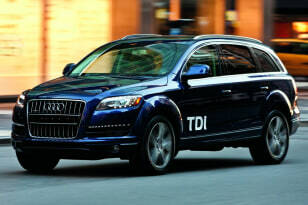 If the diesel engine in the Q7 can get 26 mpg on the highway, what could one in a slippery sedan achieve? According to VW, the answer will be 43 mpg when the EPA’s official numbers are announced. 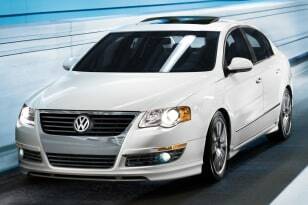 That means the Passat will go more than 800 miles on a tank. Those of us who love pumping gas in the freezing cold or blazing heat might miss standing out in the weather regularly, but for the rest of us, incredible efficiency matched with a large fuel tank combine to provide unprecedented freedom from pumping fuel.